"There is no Modi wave in Varanasi also and if there was any wave then why would Modi fight from two seats. Why is he fighting from two seats? 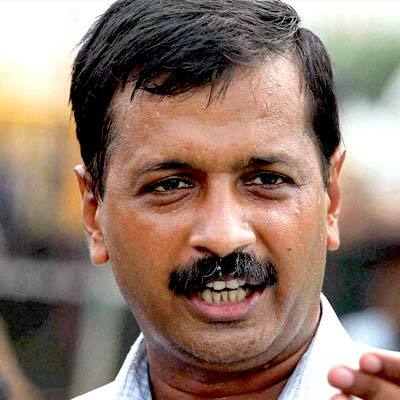 He is scared and if he has power then he should come to Varanasi and fight the elections," Kejriwal said. Lashing out at the Congress party and the BJP, Kejriwal urgedvoters to exercise their franchise in his favour.
" Aam Aadmi Party has been formed by god. This time everyone should unite and defeat the Congress and the BJP and vote for an honest party," Kejriwal added. However, India's fragmented political landscape in parliamentary polls makes results hard to predict, meaning a BJP victory is by no means assured. "What is the difference between Congress and Bharatiya Janata Party (BJP)? You should not get into all this. Many Congress leaders are joining BJP," he added.